Olivia Keith’s initial research examined the changing demographic within the City Deal areas, whilst exploring the histories and current identities of places and communities within the scheme. 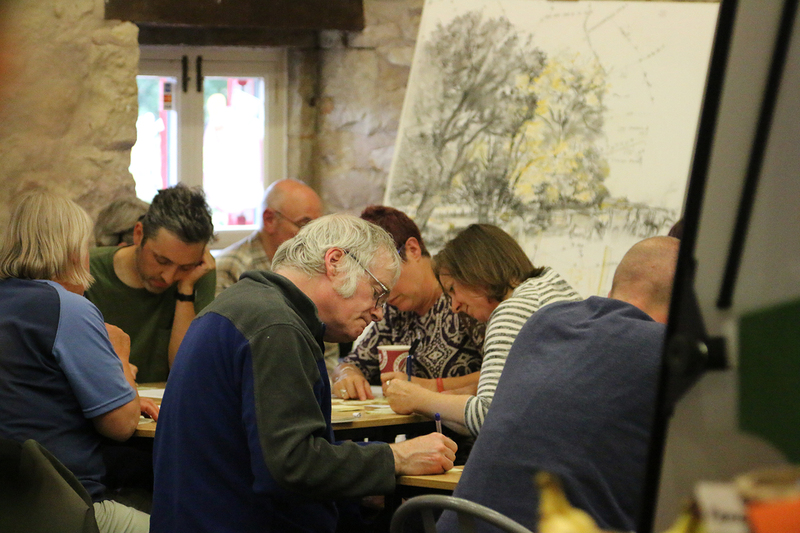 This involved engaging people in conversation about their places through the making of large scale reportage drawings, which combined heritage and current information to explore the traces of tradition and historical context that are able to ‘make it through’ new developments. 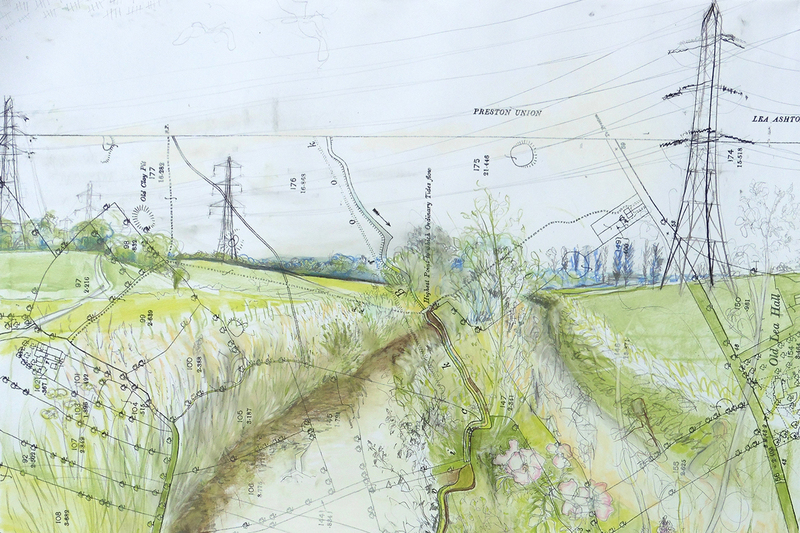 The drawing took place in locations across the North of Preston, encouraging local residents to share knowledge. This work formed the basis of a longer-term mapping project, considering how the naming of places, particularly within new housing developments, might reflect new communities, whilst also referencing the past. Olivia has explored the powerful role maps can play in perpetuating elements of a place and how memories can be preserved and passed on in a tangible way, such as place names, stories, poems, songs and drawings. 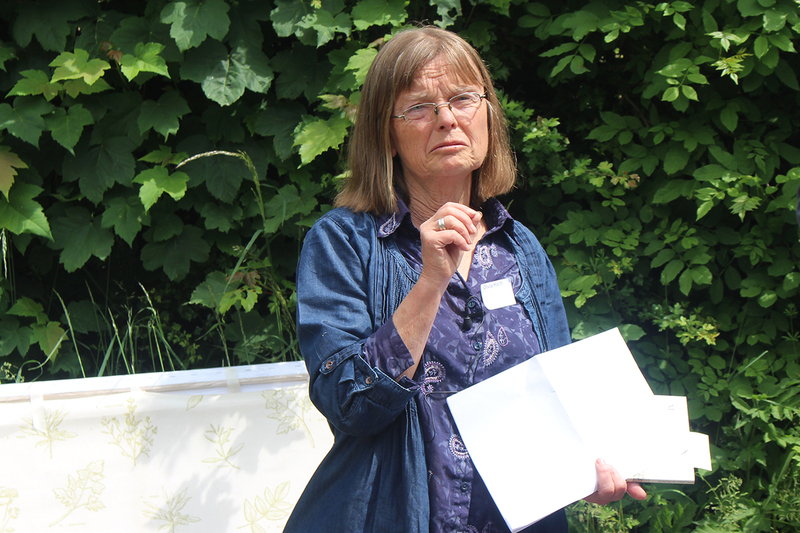 Her project Traces of Place in the summer of 2017 involved a two-week residency at the Final Whistle Café in Cottam, collating memories and contributions from local people. The event generated a response of “huge diversity rather than a consensus of feeling about home and home-making and the very ambiguity of the word ‘home'”. As a direct result of her work and the conversations hosted, Olivia was invited to contribute to the Streets of Change: Beattie’s Preston and Beyond exhibition at the Harris Museum and Art Gallery. Setting in Place: The Making of a Jellied Map of Nether Bartle was a performance installation in two separate venues, Bartle Hall and Harris Museum & Art Gallery, Preston. 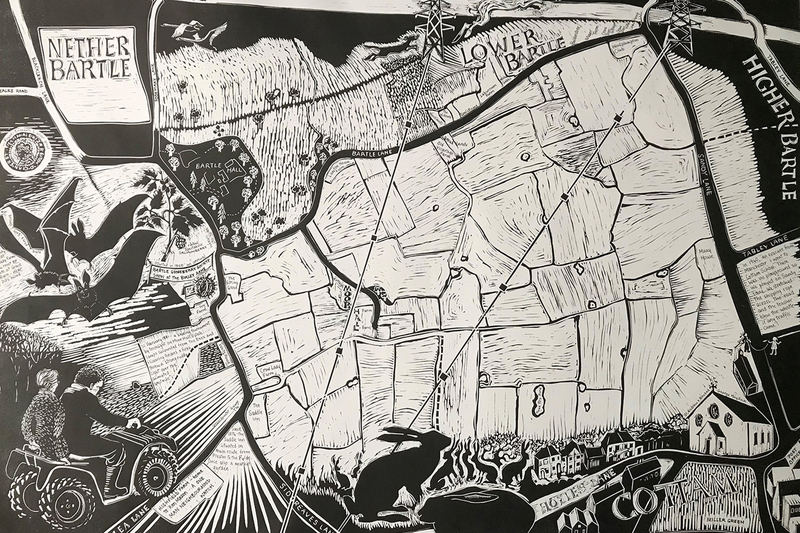 The story of the land between Bartle Hall and Cottam, from 1895 through to its imminent future development, was old visually by Olivia ‘performing the map’ with jelly. 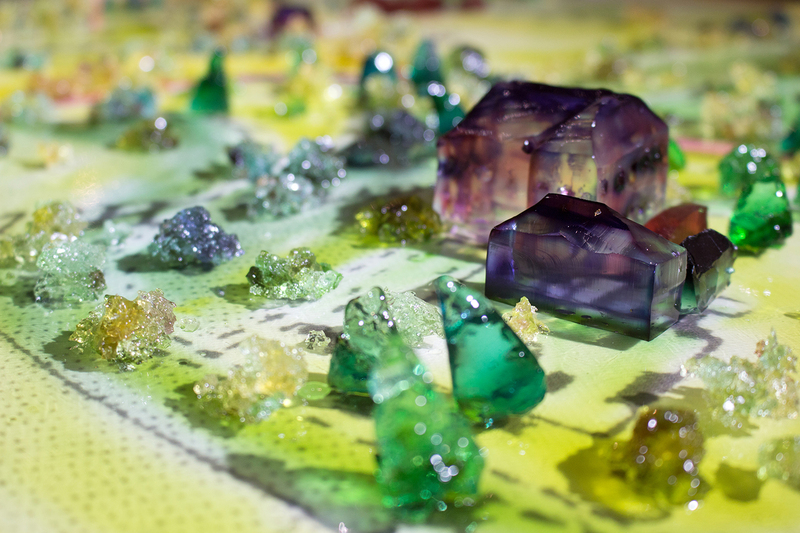 The natural transparency of jelly enabled the ‘seeing through’ to the past of the landscape as the map was built throughout the day. The creation of the map drew together material from a variety of sources; a large-scale 1895 map formed the foundation with additional information gathered by walks, conversations and contributions from residents and the general public. The process of Setting in Place illuminated the story of the area, little changed for two hundred years but which, in the immediate future, is to experience rapid and extensive residential development. Setting In Place sought to express something of the patina of place using the language of cartography. Olivia is currently working on a final piece of work to show what she has discovered and copies of this will be distributed to residents of the Nether Bartle area, old and new. See Olivia’s online map of the area.